1 Family House For Sale in Hollis, Queens NY 11412. Stunningly Remodeled HUGE 1 Family! 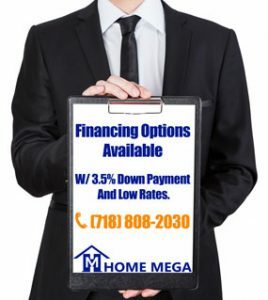 At Home Mega we offer great deals on 1 family houses for sale in Queens NY. Check out our latest stunning 1 family house for sale in Hollis, Queens NY! Amazingly Renovated Single Family Home For Sale in Hollis, Queens NY! This Giant and Detached House is Measuring 1,704 Sq.Ft Built Over a 4,000 Sq Ft Lot! A Luxury Granite Kitchen Armed with Top Of The Line Stainless Steel Appliances. The Bedroom Layout Consists of a 4 Sized Bedrooms in addition to a total of 3 Luxury Designed Baths. You’ll Also Find a Fully Finished Basement Apartment with Separate Entrance, Bathroom & a Kitchenette. Furthermore, the house offers a GIANT Front & Backyard Along With a Private Driveway. This Beauty is Located in a Quiet and Residential Block and Conveniently Close To All Amenities. 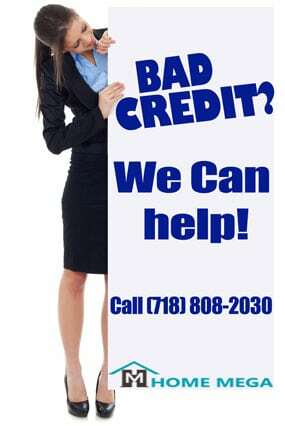 Financing Options That Are Available With ONLY 3.5% Down Payment & Low Rates. 1 Family House For Sale in Hollis, Queens NY 11412.